WHAT’S THE BEST TO WAY TO SCHEDULE A RUN SHEET FOR MY WEDDING? As much as your MC for the night tries to keep everything in line and running on time, there’s always those unforeseen – but necessary! – delays. A funny best man, a bridesmaid, or the father of the groom who tends to waffle on and chime in come speeches time! One of the most important stages of the night is when your wedding entertainment and guests get the chance to cut loose and get the party started. Allocating enough time for everyone to get up and enjoy the wedding band is often miscalculated, so here are a few tips to help ensure your reception runs smoothly and on time, starting from the beginning. The domino effect usually begins with the ceremony. It’s important to allocate more time for the ceremony just in case something goes wrong – flat tyre? Been there. Hair and make-up touch-up? Always! Your wedding singer won’t mind performing a few extra songs for weddings while your guests wait to keep them entertained. While your guests are enjoying their refreshments, it’s a good idea to prep your MC to make them aware of the time and to be ready to move guests into the reception according to your run sheet. At this stage, you’ll be posing for your beautiful wedding photos and won’t have a chance to stress about things running on time. Once again, leaving a little extra time for this part is imperative. By now, your MC will have done a stellar job to herd everyone inside the reception venue and have them seated, ready for you to make your grand entrance as husband and wife. Keeping a close eye on the timing of the speeches is probably the most important element of the wedding schedule. If the speeches are broken up throughout the night, people will stay attentive, and the wedding band – which you’ve spent a small fortune on – gets to do what you’ve hired them to do – entertain! As soon as you’ve entered the reception, it’s a great idea to begin with two speeches straight away. Allow the band to do their thing, and then have two or three more speeches over dinner. By the time you’re ready to hit the dance floor for the first time as a married couple, ideally, you’d like to have the cake cut, desert to be served and devoured, and most importantly, have the speeches out of the way. 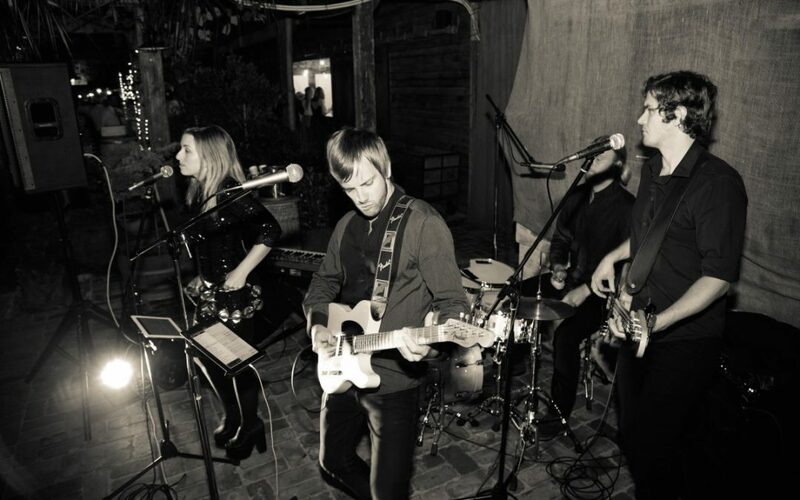 So, instead of your Sydney wedding band or Melbourne wedding band only squeezing in a small party set for an hour at the end of the night, you may get them playing three or four sets – which is way more bang for your buck!